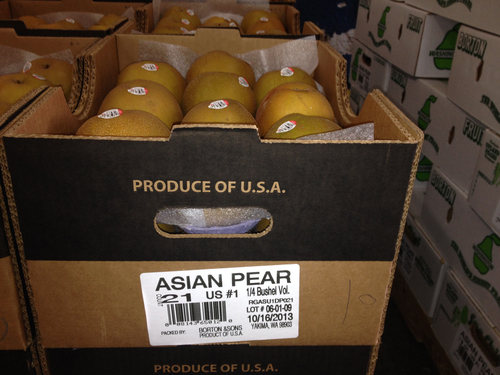 For the first time, Borton Fruit is packing a Korean variety of Asian Pears called the “Olympic Giants”. 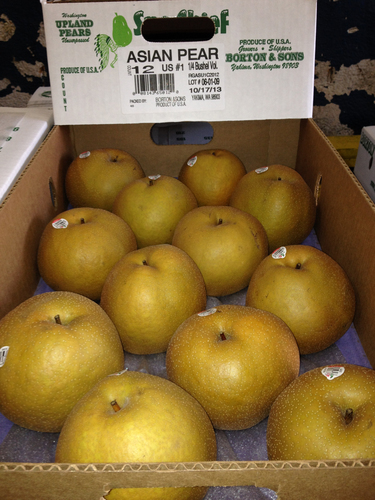 These Pears were central Washington grown, by one of our growers. 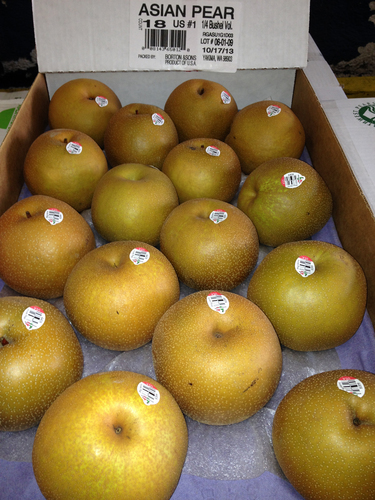 They are a round fruit, with yellow skin mottled greenish brown, partially russeted. They are crisp, have a fine-textured flesh with aromatic flavor. 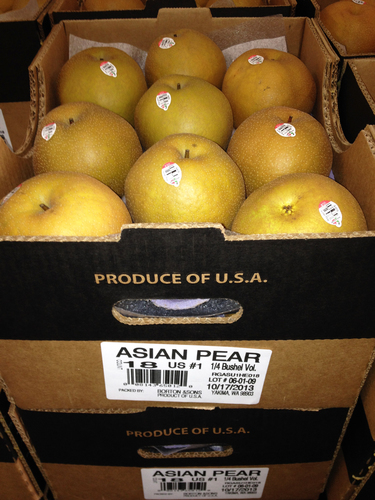 Borton has put up various pack types for these Asian Pears. The smaller sizes are going into a single layer gift-box and the larger sizes are going into a half euro footprint with two layers. Please contact your Borton Sales Representative for further information.